Build a movable floating sculpture that would skim off and collect the trash floating in the canals and/or the rivers around the city of Lowell. 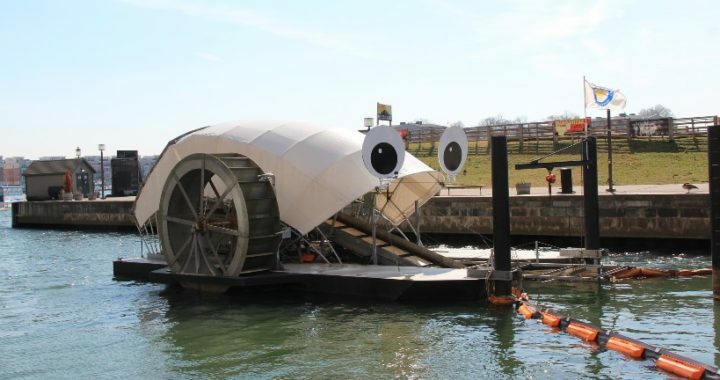 Something along the lines of Mr. Trash Wheel in Baltimore. (see URL) It is essentially dumpster on a barge in the canal. Conveyer pulls floating trash out of canal. Powered by solar or waterwheel. This could be a small demonstration or research project if full version is cost-prohibitive. It would look cool and clean the waters at the same time! It would benefit wildlife and the environment as well as our tourist industry. I think it's kind of obvious what the benefits would be.